In several interviews, Denis Buosi has stated that: “I have always wanted Varese to be a cultural centre of gastronomy”. His wish has now come true; thanks to the dedication of this man to his art and the creative energy which inspires him. The Master Chocolatier has founded a very modern and diversified school of cookery and pastry-making. It offers cookery courses for all tastes and levels of skill. The world of cooking is studied and approached from many interesting and varied angles: from classic patisserie to its contemporary form, from basic cookery methods to advanced skills, and even to courses in decoration. There are so many courses on offer, covering not just desserts but all the great flavours of the kitchen, including creative cooking, Mediterranean, fish, meat and vegetarian cuisine. Then, of course, there are specialised areas such as patisserie, health food, cookery courses for children, and lessons for cooking pasta. Buosi Academy: a gastronomic hub in the province of Varese. The cookery courses run by the Buosi Academy take place at Denis Buosi’s workshop at Via Adua no. 63, Vedano Olona, in the province of Varese. The lessons in the art of patisserie are taken either by Denis Buosi or by one of our nationally qualified teachers. The cookery courses are run in collaboration with some well-known chefs. The school offers many different types of courses. Casual: These are classes for anyone enthusiastic about cooking and pastry-making who wants to discover some of the secrets of the art, learn some basic techniques, or increase their skills and knowledge. Each course runs for 1 or 2 evenings, with sessions lasting about 3 hours, and with a maximum of 12 participants. These lessons at the Buosi Academy are a mixture of theory and practice and cover a wide range of themes: cakes, biscuits, mousses, chocolate, cupcakes, snacks, risottos, finger food. Master Pro: These are professional training and refresher classes aimed at developing and improving the participant’s knowledge and skill, and updating him on the latest trends in the sector. This is a real investment in every way, giving added value to your professional status. The Master classes runs over 2 or 3 days, and range from very fine patisserie, to sophisticated, avant-garde cuisine. They involve exclusive practical and theoretical demonstrations of the latest culinary techniques, showing how to make use of raw ingredients in a creative and innovative way. Student Professional: This is an academic programme designed for young students who want to upgrade their skills in a limited time-frame, and consists of advanced classes, masters, and high-level workshops. There are full immersion courses for all those students who wish to specialise in particular areas of gastronomy, whether sweet or savoury, including a scientific study of ingredients and basic recipes. 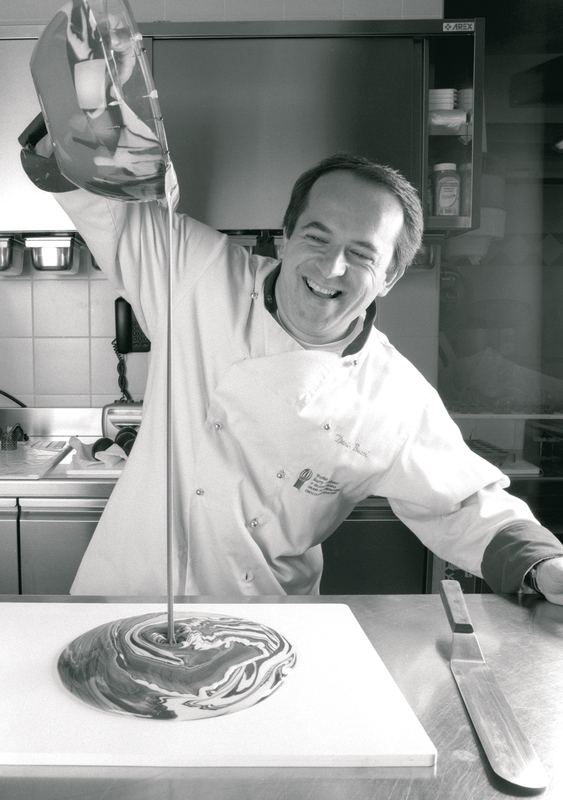 Master Chocolat: A high-level training course in chocolate-making, with Denis Buosi as the undisputed king. Kid Lab. There are various children’s workshops involving art, pastry-making, cooking and healthy eating. These are engaging, multi-sensory classes which allow children to experiment with amazing techniques and create delicious artworks, exploring flavours, colours and ingredients. The workshops conclude with competitions and prizes. In addition to training courses in the art of cookery, Denis Buosi’s school and workshop at Vedano Olona provides access to a large library of titles dedicated to the theme, as well as a shop stocking essential equipment for any cookery specialist.